The International Youth Initiative Program (YIP) is a holistic educational program that strengthens young people’s capacity to take initiative in the face of current global challenges. 20-40 participants aged 18 to 28, from all over the world, live and learn together for 10 months in Järna, Sweden. 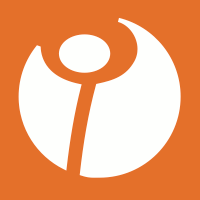 The purpose of the International Youth Initiative Program is to foster in young people a holistic understanding of the current challenges humanity faces and to empower them to use entrepreneurial principles and skills to create initiatives and change within themselves that meet these challenges while practicing collaboration and moral integrity. What do we do at YIP? Read about the Curriculum. How do we approach it? Read our Guiding Principles in Education What guides the Program? Read about The Program and its Aims. How much does it cost? Read about the Costs and Finances.